Post-Apocalyptic is a big genre right now, especially in current television shows and movies. From zombie outbreaks to alien invasions, post-nuclear attacks to worldwide technological crashes, and even natural disasters that destroy modern civilization – you have access to your favorite end-of-the-world scenario in many forms. And the final season of the television show Fringe is definitely a close fourth. But enough from me, what are your top three? Please, comment below to let us know. 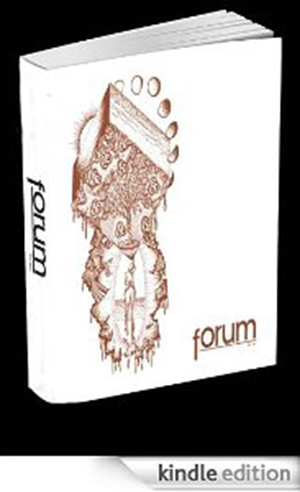 Hello Forum Magazine readers! Today we’re talking about Dystopian art and stories, or, more specifically, your favorites within the Dystopian genre. Whether we love, hate, or carry a lukewarm temperament toward it, we must admit that Dystopian art is definitely popular, right now. We can argue the reasons for or merits of this amongst ourselves later, but for today’s discussion is about your top three Dystopian pieces (whether visual or written art). So our question to you is: do you have three favorites that you consider the best in the genre, or even just the best representatives of it? What do you consider the three art pieces, stories, novels, plays, what-have-you that are the first three Dystopian pieces that someone new to the genre should see? The Hunger Games Trilogy by Suzanne Collins is a very close runner up to this list. But enough about my favorites, what are your favorites? Please, comment below so that everyone can see, and possibly appreciate your top three.